The Sanlam Cape Town Marathon is being held on the 17 September 2017 and many of South Africa’s most well-known sports personalities including Olympic Silver medallist Elana van Zyl Meyer and Rugby World Cup Captain Francois Pienaar have challenged the captains of other sporting codes to run. This is in line with the race’s existing campaign for runners to ‘Challenge Yourself’. 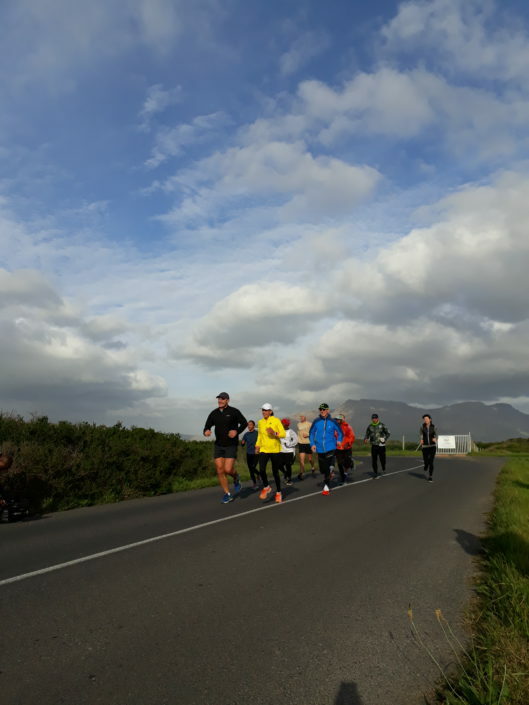 The recently released Captain’s Challenge provides the opportunity for leaders in every sphere of South African life to use the network to run and in doing so raise awareness and money for charity. 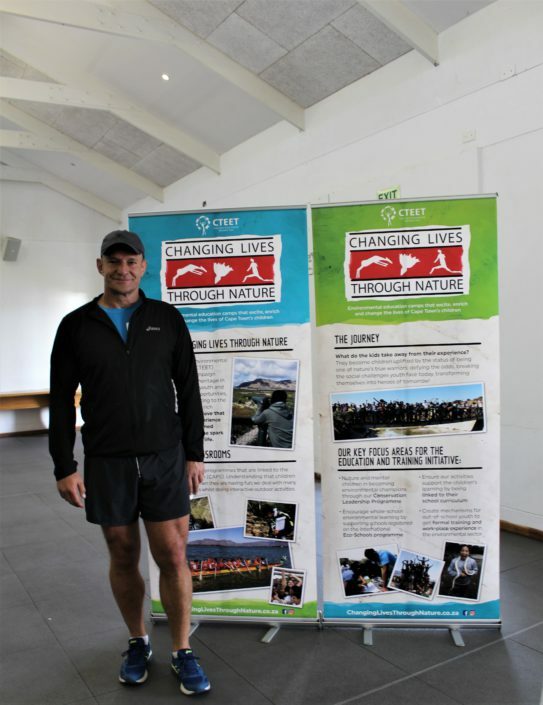 A training run was hosted at False Bay Nature Reserve on Monday morning, 21 August, by the City of Cape Town and Birdlife SA, with CTEET providing a post-run breakfast. 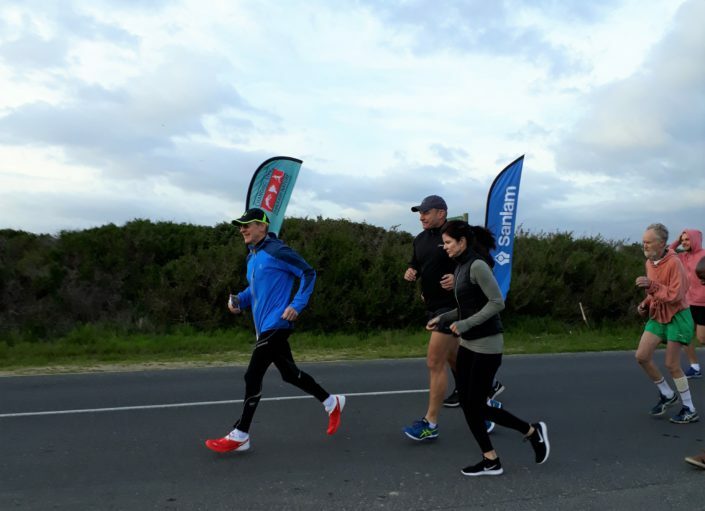 Braving the chilly weather, Francois Pienaar and Elana Meyer led a group of dedicated runners around the 10km route from the False Bay Nature Reserve Headquarters along the shores of Zeekoevlei and around the Strandfontein birding area. 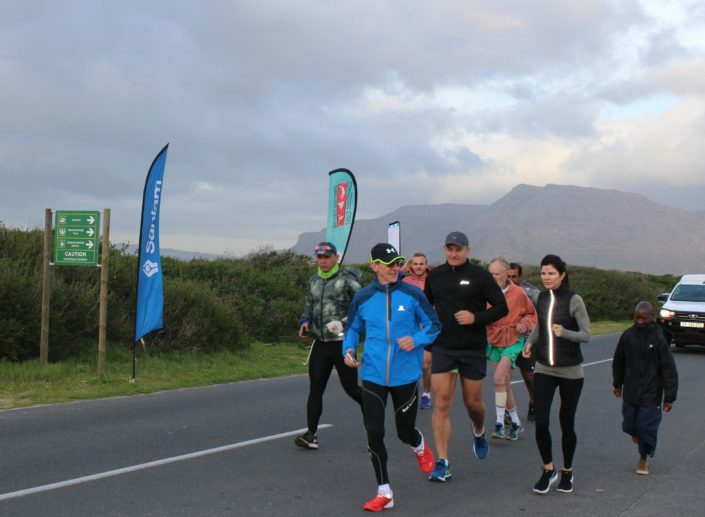 The runners included Cape Town athlete and Endurocad leader Nolene Conrad, well-known runner Maxwell Godloza, Stephen Granger from the City of Cape Town, Dale Wright from Birdlife SA and Dave Whitelaw from the Cape Bird Club. 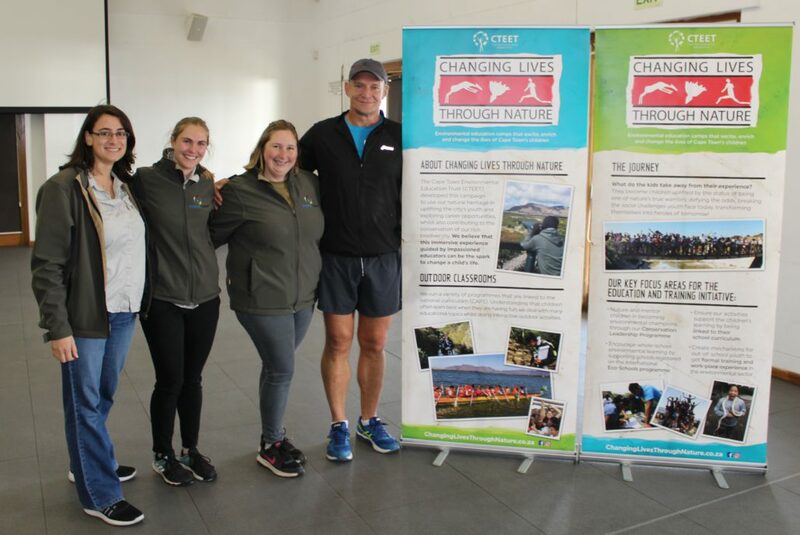 False Bay Nature reserve, which has now been internationally recognised as an Important Bird and Biodiversity Area and designated a “Ramsar Wetland”, was chosen as the venue for the run in order to highlight the work of and impact of the environmental education and skills development programmes at the reserve. 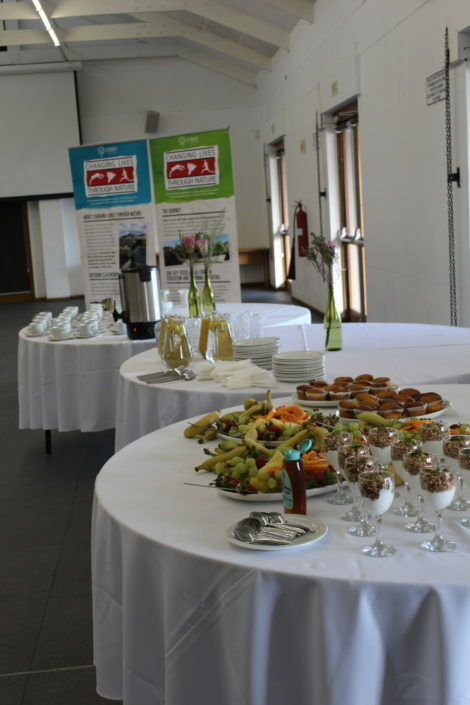 It was an honour to have Dale Wright present to the South African icons on the role CTEET is playing in offering these opportunities to Cape Town’s youth.